The perfect paradise for the perfect caribbean vacation! Would you like to enjoy the Resort life? 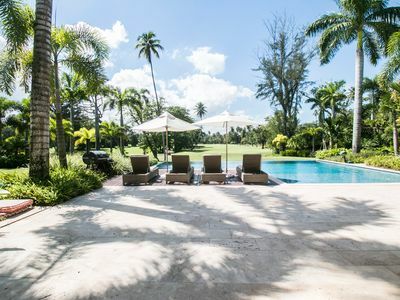 Come and stay at this luxurious house located within the pristine Dorado Beach Resort. 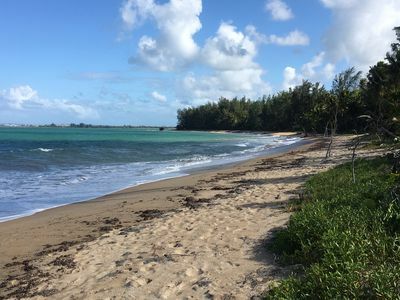 The Dorado Beach Resort is a 2,000 acre natural reserve and most of the communities are 1-3 miles away from the beach and Hotel. This being said, the entire resort is interconnected via golf cart trails, meaning that you can have easy access (walking or in golf cart) to the different communities and amenities within this Resort. Dorado Beach Resort amenities are exclusive for Club Members and are only accessible with the purchase of a temporary membership. The temporary weekly membership grants you access to the following Dorado Beach Resort amenities: Dorado Beach Golf Courses, Encanto Beach Club and Restaurant, Barlovento Beach Bar and Grill, GoodWinds Water Sports, The Watermill Water Park (open only on weekends and holidays), Tennis Center and the Fitness & Wellness Center located at the Plantation Village. The easy rhythms of an idyllic day at the beach, enhanced by the sounds of gentle surf and familiar laughter, can be yours every day of your stay at this spectacular Reserve at East Beach Residency. Entertain family and friends with a sunset dinner on the pool area at the same time you enjoy the soothing sounds of the surf. Every detail has been thoughtfully orchestrated to blend sophisticated modern living with relaxed island beauty. 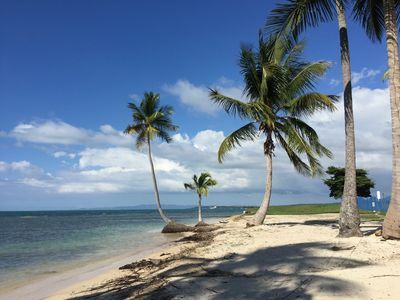 These beachfront waterfront homes offered at Dorado Beach are located directly on the beach chosen by Laurence S. Rockefeller, so there is no better location for experiencing your own Caribbean vacation. The East Beach Residences are the most luxurious beachfront properties in the Dorado Beach Resort. 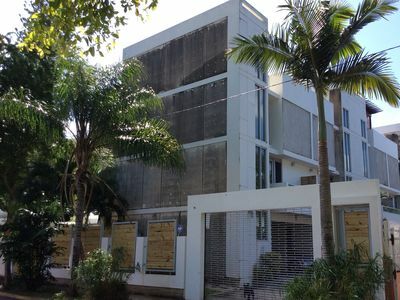 The East Beach Residences are truly stunning stand-alone private properties and its exclusiveness often attracts celebrities and high profile clientele. The hotel is incredibly gorgeous and the Dorado Beach Resort is a 2,000 acre protected natural reserve were trees and nature in general reign. 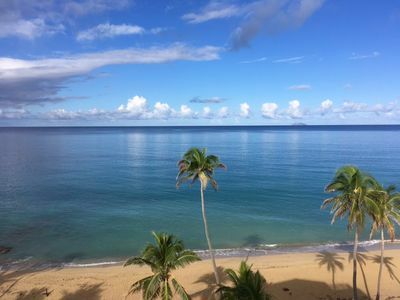 The beach at the Resort is the only private beach in the island and its sand and calmed water are ideal to enjoy a long day at the beach with the family. 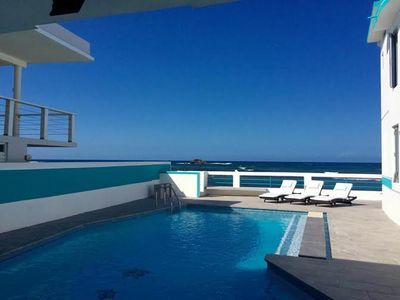 This luxurious top of the line beachfront property located at East Beach Residence features 5 bedrooms, 5.5 bathrooms, unique style and decoration, a modern fully equipped kitchen, a spacious family room, open space living area, dining area and pool area with chaise lounges. This gorgeous oceanfront property has a stunning view overlooking the amazing views of the golf course and Resort. The rental includes 3 golf carts. 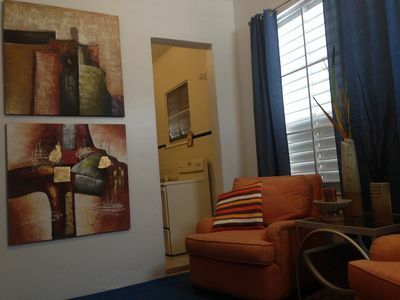 Studio @ White House By The Beach, with plenty of sunlight and fresh air! 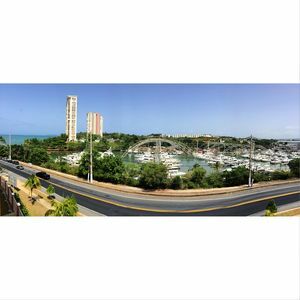 Luxury, beachfront penthouse condo with stunning panoramic views and pool!